Cape Fahn Private Islands Hotel, Koh Samui has marked its first major event with the spectacular Wedding of Thai Sweetheart and Superstar Janie Tienphosuwan to her fiancé Micky Allopach Na Pombhejara. They took the entire hotel to welcome close friends and family to enjoy the celebration and to witness the dazzling fireworks display over the islands that completed a wonderful evening. Cape Fahn Hotel – the 5-star hotel on a private island in Thailand from the Cape and Kantary Collection opens its doors in luxurious welcome. Cape Fahn offers to the discerning guest the perfect gateaway to solitude, peace and calm with its 22 independent villas each served by its own exclusive pool on a pair of private islands just off Koh Samui’s north-eastern coast. All this can be found a relaxing one hour boat trip from Surat Thani or a mere 10-minute saunter by car from Samui International Airport. Picturesquely sited just 300 metres from the glorious strip of Choeng Mon Beach on the north-eastern tip of Koh Samui, Cape Fahn is bathed in the warm caress of the tropical sun from sunrise to sunset. 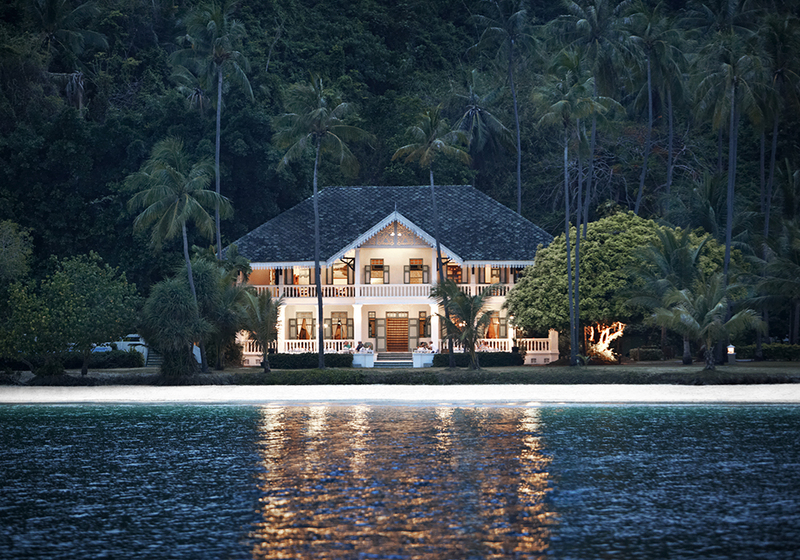 Accessibility comes with remoteness as standard on this exclusive private island. The 22 exclusive one- or two-bed luxury pool-villas that make up this enchanting experience are set in the tranquil seclusion of a modern tropical-styled complex. Step back to a more relaxing era where sheer luxury discreetly complements nature. Echoing traditional architectural style with natural wooden decking and their own 8-metre private pool, the elegantly appointed villas are a delight to behold. The selection invites a choice of a Tropical Pool Villa, surrounded by lush greenery; a Deluxe Pool Villa on the hillside; an Ocean View Pool Villa overlooking the sparkling waters of The Gulf of Thailand; or a Beach Front Pool Villa leading straight onto the shore, all offering a separate living room and bedroom, and private pool. Of the Two-bedroom Pool Villas the options are for the Tropical Two-bedroom Pool Villa perched on the hilltop in true tropical surroundings or the At Fahn Noi Private Island Pool Villa, the ultimate in privacy and calm, you can do no better than stay in a luxurious 2-bedroom private demesne on your own private island. Such an opportunity of utopian paradise surrounded by trees and a sweeping view of the sea presents itself rarely; it is here for you now. 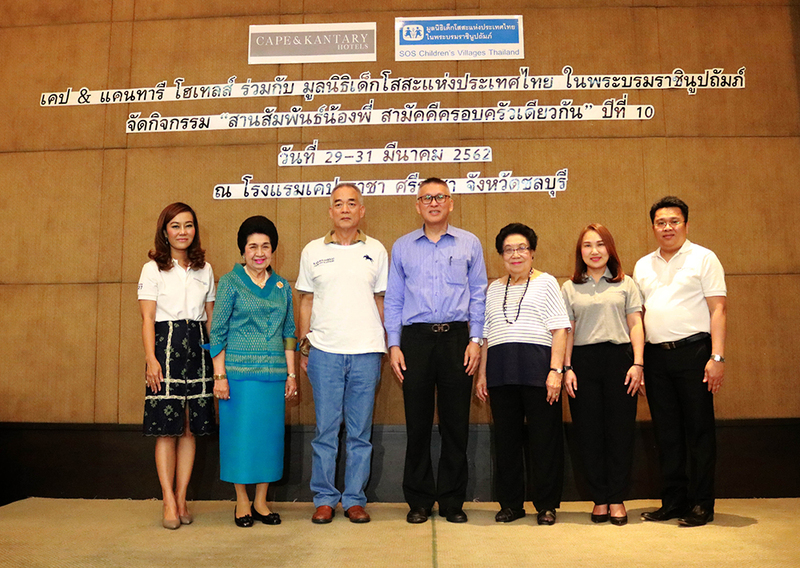 Tirapongse Pangsrivongse (3rd left), executive director of Kasemkij Co., Ltd. and board member of SOS Children\'s Villages Thailand presided over the opening ceremony of the “Annual Summer Trip 2019” which purposed to host more than 700 children from SOS Children\'s Villages Thailand for a 2-night stay in Cape & Kantary Hotels including travel and full board. The event was honoured with the presence of Pol.Col.Norawat Charoen-Rajapark (4th left), board of directors of SOS Children\'s Villages Thailand and Khunying Rose Boribalburibhand (2nd left), consulting chairman and former president of SOS Children’s Villages, at Cape Racha Hotel, Sriracha. This corporate social responsibility event has been organized for 10 consecutive years by Kasemkij Co., Ltd which manages Cape & Kantary Hotels. Seen in the photo from left: Sudawadee Rerksujarit, general manager of Cape Racha Hotel, Sriracha; Ms.Boribalburibhand; Mr.Pangsrivongse; Mr.Charoen-Rajapark; Khunying Chinda Charung-charoenvejj, consulting vice chairman and former president of SOS Children\'s Villages Thailand; Siriporn Ghongjitcharoenyon, hotel manager of Karavel House Hotel, Sriracha and Rungroj Ponpai, general manager of Kantary Bay Hotel, Sriracha. 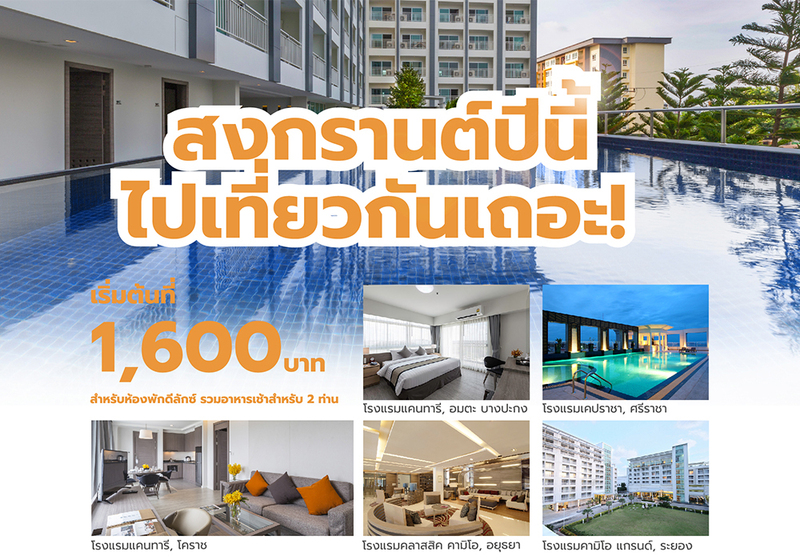 Super Hot Deal for Songkran Festival only! 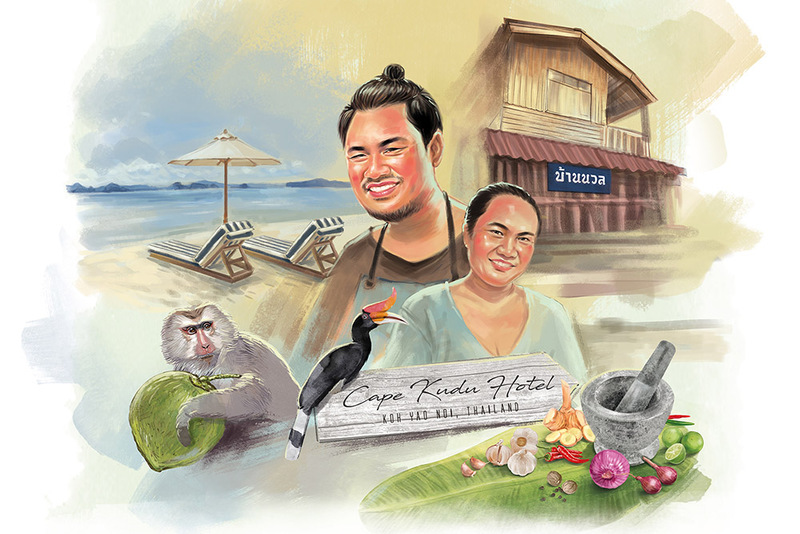 On 17 - 19 May 2019, Baan Yuyen at Cape Kudu Hotel, Koh Yao Noi gives you the opportunity to move ahead of the crowd. Book in advance and delight in the dishes prepared especially and exclusively for you by Baan Nual’s chefs. Prices for dinner and a luxury room for two start at 11,320 Baht net per room per night which includes daily breakfast, a cocktail, sparkling wine and a special Baan Nual Thai set menu Dinner for two to share. Semi-private return transfer from Phuket International Airport can be arranged. Baan Nual Thai restaurant in Sam Saen, Bangkok has generated a solid reputation for top quality, authentic traditional Thai food belying its unpretentious, rustic appearance. So high is their standing that this unassuming little restaurant of just two tables is fully booked for months in advance. This is a very select eatery run by a brother / sister partnership using Koh Yao Noi’s local produce, seafood and rice in their unique dishes. Now you can enjoy their artistry in exclusive privacy at Baan Yuyen, Cape Kudu Hotel on the charming little island of Koh Yao Noi. Limited seats are available! For reservations, please call +66 (0)83 883 3865 during Thailand office hours. Tirawan Taechaubol (8th from left), Cape & Kantary Hotels’ Project Development Manager, recently organises the event “KUDU GOES GREEN” in order to persuade the tourists and visitors who stay on Koh Yao Noi, Phang-Nga province to collect the recyclable waste to exchange for a drink or an ice cream free at Café Kantary, Koh Yao Noi. 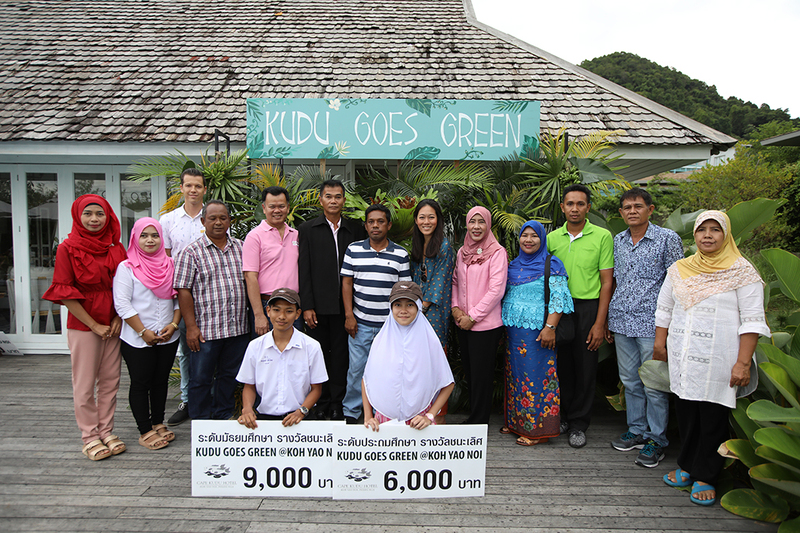 Recyclable waste had been sent to local schools on Koh Yao Noi for the “KUDU GOES GREEN” contest, where the students turned waste into the best Recycled-Materials Art!! Prizes for the best came from Cape Kudu Hotel and Café Kantary, Koh Yao Noi. Also seen in the photo are Koh Yao Noi Village Headman, Manoon Matraksa (7th from left) and Banyat Srisamut (4th left) who honourably joined the event as referees for the winning Artefacts. Once again, Cape & Kantary Hotels sets a new high point in the company’s history by being notified that website TripAdvisor.com has awarded the organisation’s prized Certificate of Excellence Awards 2018 to 14 properties: Kantary Hills Hotel, Chiang Mai; Cape Kudu Hotel, Koh Yao Noi; Cape Nidhra Hua Hin; Cape Panwa Hotel, Phuket; Kantary Bay Hotel, Phuket; Kantary Beach Hotel, Khao Lak; Kantary Hotel, Korat; Kantary Bay Hotel, Rayong; Somewhere Hotel, Koh Si Chang; Kantary Hotel Ayutthaya; Classic Kameo Hotel, Rayong; Kantary Hotel, Kabinburi; Cape House Bangkok and Kantary House Hotel, Bangkok. Five restaurants such as Cape Panwa Hotel, Phuket’s Panwa House and Cape House Bangkok’s No.43 Italian Bistro also receive these Awards. Acknowledgements must go to the vision and expertise of management and to the high level of loyal service offered by the staff. It is this concerted teamwork which has earned an accolade of which all can be justifiably proud. 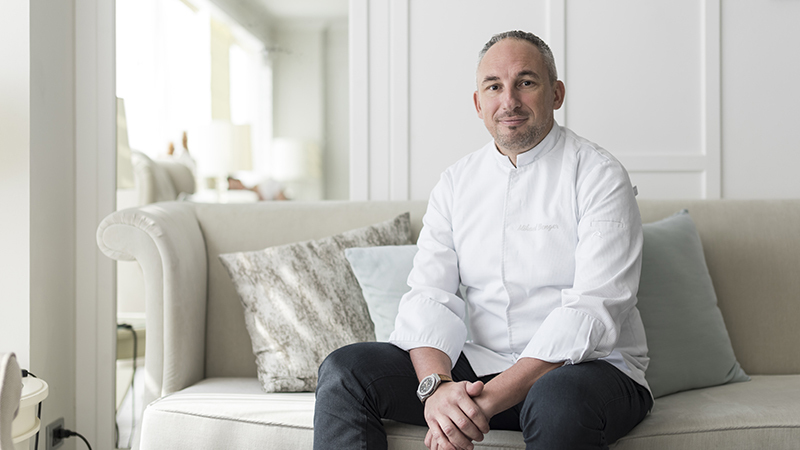 Cape & Kantary Hotels is proud to welcome Chef Mikael Wenger as its newly-appointed Corporate Executive Chef Consultant, lending his creative vision and artistic flair to European and western cuisine offered at all Cape & Kantary Hotels’ country wide restaurants. Cape & Kantary Hotels Executive Director Tirapongse Pangsrivongse (left), and Project Development Manager Tirawan Pangsrivongse (2nd from left)) recently donated 300,000 Baht to SOS Children’s Villages Thailand to support the organisation’s day to day operations. SOS Children’s Villages Thailand’s President of the Board of Directors Pol. Maj. Gen. Norawat Charoen-Rajapark (2nd from right) graciously received the donation with Consulting Chairman and Former President Khunying Rose Boribalburibhand (right) witnessing the session, at Intercontinental Hotel, Bangkok. Cape & Kantary Hotels Group Director Travel Industry Poomiphat Navanukroh (3rd from right), and Cape Kudu Hotel, Koh Yao Noi General Manager Timo Kuenzli (2nd from right) recently donated 200,000 Baht to Koh Yao Noi Sub-district Administration Organisation for building the road near the hotel. Deputy Chief Executive of Koh Yao Noi Sub-district Administration Organisation Wiwa Uppama (2nd from left) graciously received the donation. 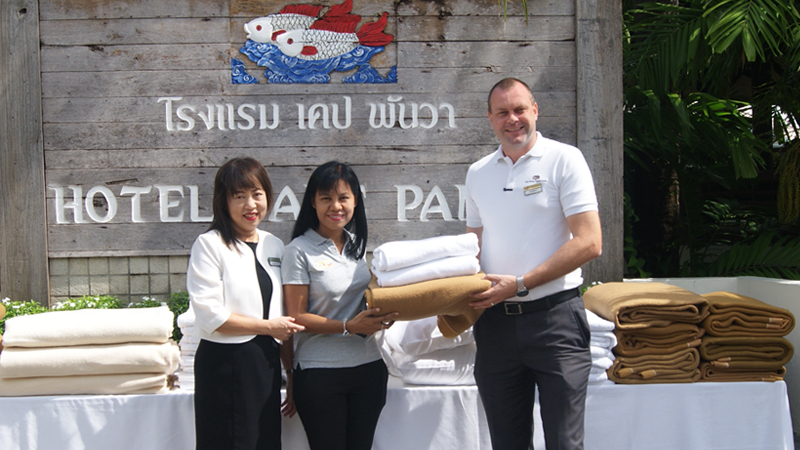 Recently at Cape Panwa Hotel, Phuket, Cape Panwa Hotel, General Manager, Thomas Hain (right) and Kantary Bay Hotel, Phuket, General Manager Somjai Teera-Umpornpunt (left) donated bedding including pillows, blankets and linen to the amount of around 80,000 Baht to Managing Director of ‘The Guide Phuket’ Magazine, Punnaporn Eamso Guinault (Centre), who would further deliver the donation to foreign student dormitories in need in the remote Maesod district, Tak province. Cape Kudu Hotel, Koh Yao Noi, a select member of Small Luxury Hotels of the World, the latest addition to the Cape & Kantary family, offering you a tropical escape from the stresses of daily life. Cradled on a small island in the centre of Phang Nga Bay, you are surrounded by limestone islands draped in lush rain-forest and a sapphire sea where the intimate atmosphere and spacious accommodation along with exceptional service add up to an irresistible sense of comfort and serenity.